According to Wikipedia, a 'goblin' is a small, monstrous creature almost always grotesque, mischievous, and outright malicious, often having 'magical abilities' similar to a demon which are found in the folklore and mythologies of countries all across the world through time. Cast by author J.R.R. Tolkien in The Hobbit and The Lord Of The Rings as 'the great evil race of Middle-Earth', goblins have served as a main antagonist in stories and myths going back hundreds of years, aggressive and belligerent little creatures. Yet the 'Goblin' going viral seen in story after story in news all over the internet today has nothing to do with Tolkien nor the hideous, aggressive little monsters found in myth's through time but the latest outer space discovery that astronomers now say are helping to redefine the solar system that we live within. While nearly every time that we write a story about 'Planet 9' or 'Planet X' on ANP, a reader or two will tell us to put our tinfoil hats on, and they're more than welcome to have that opinion as hundreds of years ago, most people who were considered 'sane' actually believed the Earth was flat, this new story over at CNN of all places (saved at Archive) reports that the ongoing hunt for so-called 'Planet X' or 'Planet 9' has turned up a new object within our solar system. A scrawny dwarf planet nicknamed the Goblin has been discovered well beyond Pluto. This is the third dwarf planet recently found to be orbiting on the frigid fringes of our solar system. The two other dwarf planets are Sedna, discovered in 2003, which is about 620 miles (1,000 kilometres) across, and 2012 VP113, about 310 miles (500 kilometres). They were found by some of the same astronomers. Over the past several years on ANP we've been reporting upon the hunt for 'Planet X' being conducted by astronomers all across the planet. And while we certainly understand the skepticism held by many about the mere existence of another planet within our solar system that has not yet been discovered with the modern technologies of today, going all the way back to 1983 both the Washington Post and the NY Times published stories about the possible existence of 'Planet X', what they believed then was much more than just a theory. On January 30th of 1983, the NY Times published a story titled "Clues Get Warm In The Search For Planet X" within which they reported "SOMETHING out there beyond the farthest reaches of the known solar system seems to be tugging at Uranus and Neptune. Some gravitational force keeps perturbing the two giant planets, causing irregularities in their orbits. The force suggests a presence far away and unseen, a large object that may be the long-sought Planet X." Coincidentally, or not, the astronomers from Cal Tech who have 'discovered' Planet 9 (though it hasn't yet officially been found), have nicknamed the body they suspect to be in the direction of the constellation of Orion 'the perturber'. As Wikipedia reports, "in early 2016, Konstantin Batygin and Michael E. Brown described how the similar orbits of six TNOs could be explained by Planet Nine and proposed a possible orbit for the planet. This hypothesis could also explain TNOs with orbits perpendicular to the inner planets and others with extreme inclinations, as well as the tilt of the Sun's axis." That's right, astronomers believe that 'Planet X' could be responsible for the tilt of the sun's axis. Let that sink in for a moment. Much more on that below but first. Not to be outdone, by December of 1983, the Washington Post also published a story about 'Planet X'. As the Washington Post reported in their story titled "Possibly As Large As Jupiter" published on December 30th of 1983, a mysterious heavenly body had been found further away from the Earth than Pluto yet close enough to be within our solar system. 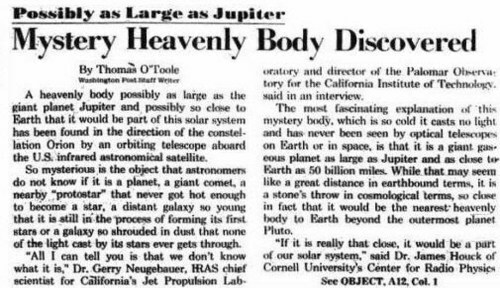 Completely stumping astronomers back then as to what this mysterious body could be, with the chief scientist for California's Jet Propulsion Lab saying then "All I can tell you is that we don't know what it is". And hence began the 'planet X' cover up within the mainstream media as soon after those two stories were published, very little was published by the msm about 'planet X' with anybody who published any stories or videos upon them labeled wacko conspiracy theorists. 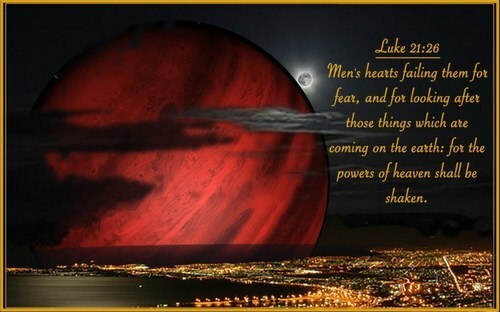 Yet the historical and Biblical references to such a planet potentially existing go back to the edge of what we have been told about history with our planet's 'true hidden history' still largely being veiled. X marks the spot in the millennia-long quest to unlock the secrets of the Creation, Nativity and End-Times in Planet X, the Sign of the Son of Man, and the End of the Age. Written over a period of 22 years, Planet X represents literally decades of cutting-edge research into the Bible, ancient Near Eastern religion, and both ancient and modern astronomy. This mysterious planet, dubbed Planet X by modern astronomers who have been searching for it for over a century, is believed by some to be responsible for the creation of Earth in its present form. 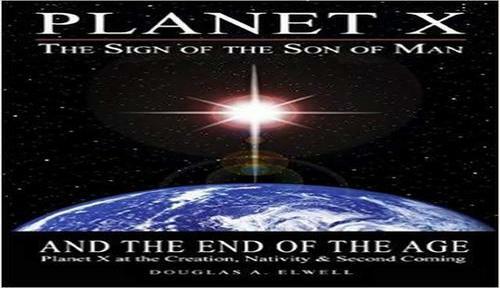 Planet X presents compelling evidence that this mysterious tenth planet was used by God to not only create the heavens and Earth, but also to herald the birth of Christ as the Star of Bethlehem, and to herald His return in the End-Times as the Sign of the Son of Man and the End of the Age. Believed to have an orbit of between 40,000 to 80,000 years to orbit the sun only once, the theories from established astronomers on how 'Planet Nine/X' is tilting all of the planets in the solar system and may be responsible for periodic extinction events on our planet Earth sound almost like science fiction. So if we want to understand what some are calling the true power of 'Planet Nine' or 'Planet X' let's take a look back at this October of 2016 story over at Space.com which asked in their titled "Did The Mysterious 'Planet Nine' Tilt The Solar System?" The putative "Planet Nine" may have tilted the entire solar system, researchers say. In January, astronomers revealed evidence for the potential existence of another planet in the solar system. Researchers suggest that if this world — dubbed Planet Nine — exists, it could be about 10 times Earth's mass and orbit the sun at a distance about 500 times the distance from the Earth to the sun. 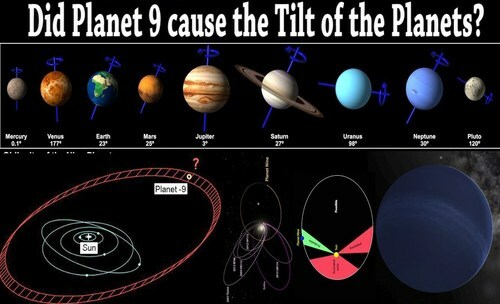 Previous research suggested that Planet Nine would possess a highly tilted orbit compared with the relatively thin, flat zone in which the eight official planets circle the sun. This led scientists to investigate whether Planet Nine's slant might help explain other tilting seen elsewhere in the solar system. Now, researchers suggest that Planet Nine's influence might have tilted the entire solar system except the sun. "Planet Nine may have tilted the other planets over the lifetime of the solar system," said study lead author Elizabeth Bailey, an astrophysicist and planetary scientist at the California Institute of Technology in Pasadena. And while we absolutely don't expect 'Planet X' to crash into our planet Earth as some have warned might happen as it's still millions of miles away from us and moving at a turtle's pace, as we reported on ANP back on June 8th of 2017, according to Dr. Daniel Whitmire, a scientist formerly with the University of Arkansas, "there is evidence that Planet 9 may be responsible for periodically casting comets into the inner solar system." Also warning that such comets could be responsible for a series of 'extinction level events', Dr. Whitmire proclaimed that it was only a matter of time before such an event happens again. So while the world might be one day closer to finally establishing the exact position of 'Planet Nine' or 'Planet X', and such a confirmation finally proving that there is so much that we don't know and understand, even about our own solar system, the proven existence of 'The Goblin' and its relationship to 'Planet X' shows we may also be moving another step closer to learning the true history of our planet, a history long hidden. In the 2nd video below, Wochit News takes a look at the discovery of 'The Goblin' while in the 1st video below, videographer Pastor Paul Begley takes a look at the prophetic implications of what 'The Goblin' might mean.